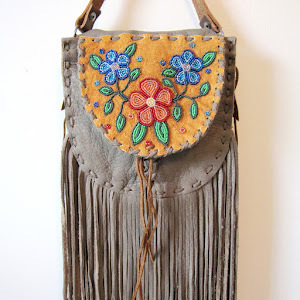 In keeping with our mission to bring you the newest and greatest items for the best price, we are making room for new inventory by MaRia Bird (Mea B'Fly) by retiring some of her designs. 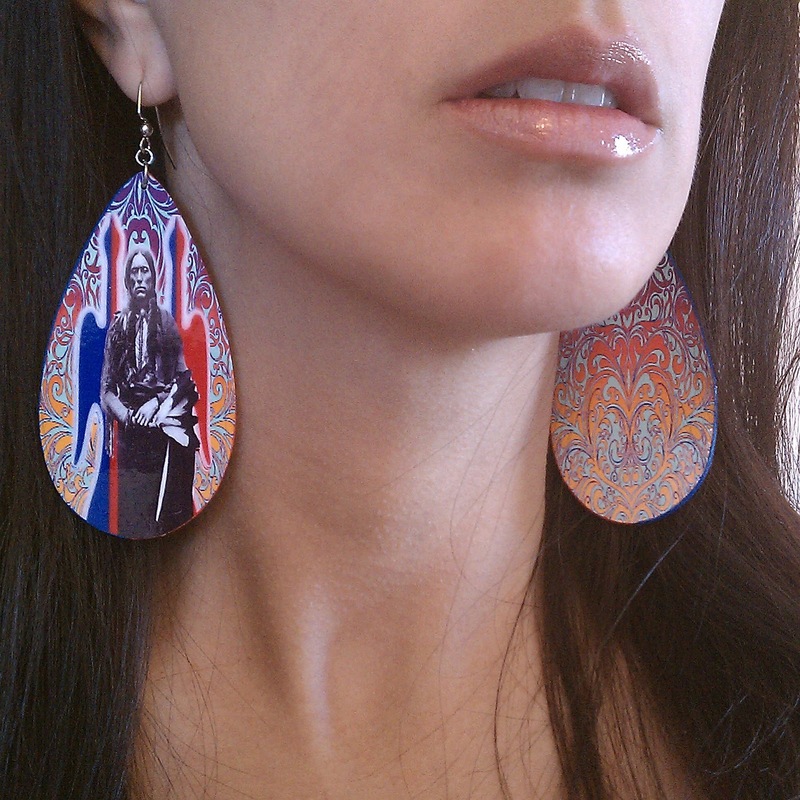 Mea B'Fly earrings are a great fusion of the powerful past with the energy of today. 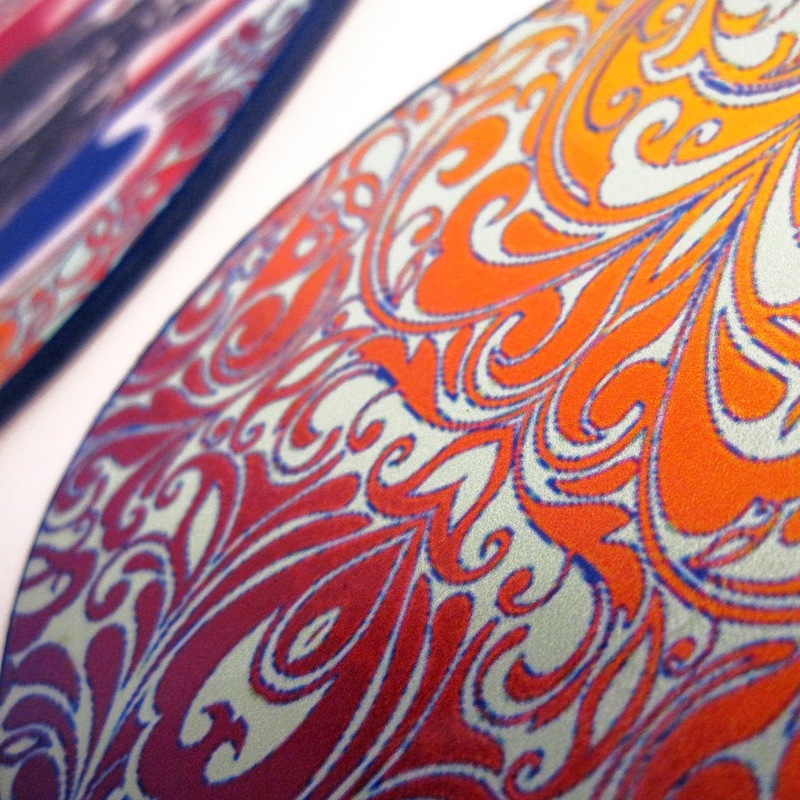 Each graphic print is made by Bird, starting with a focal background image that she elaborates with other design elements. She hand-produces each earring by adhering the small art prints to a wood base and topping them off with surgical steel earring hooks and jump rings. The earrings are bright with vivid color patterns, lightweight for a comfortable wear, and glossy with a slick overcoat to protect the design. Throughout the month of July, we will be retiring a different design each week on a Sunday night at midnight. July 7: Sacred - Remixed. 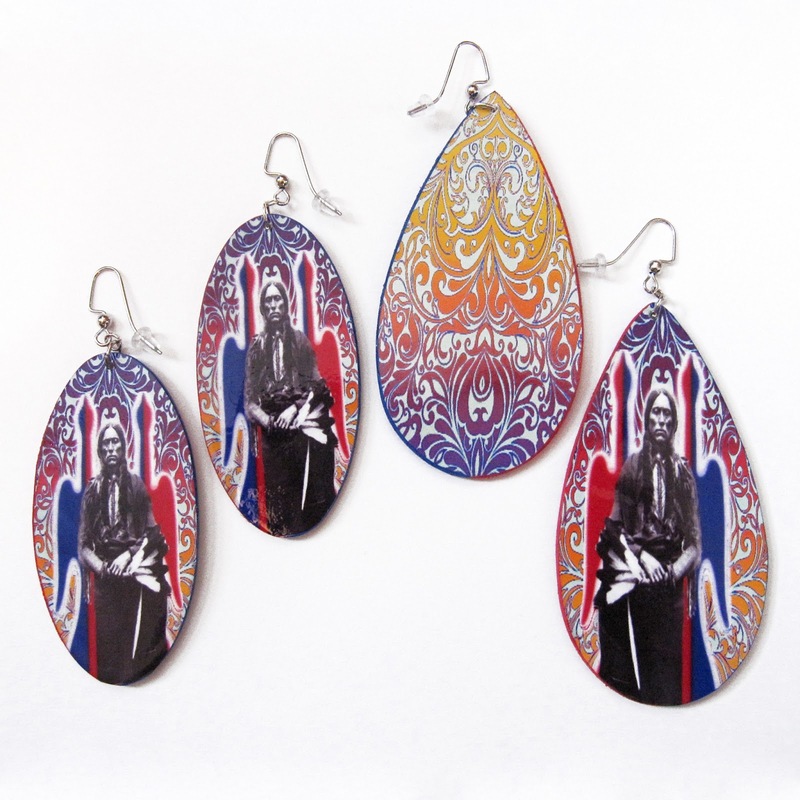 The first of four to be retired, these popular earrings feature a remixed design with the image of Comanche leader Quanah Parker as the focal point. 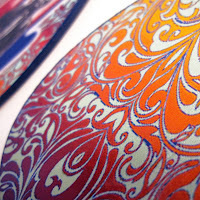 The backside is decorated with an organic paisley pattern in warm hues outlined in blue. 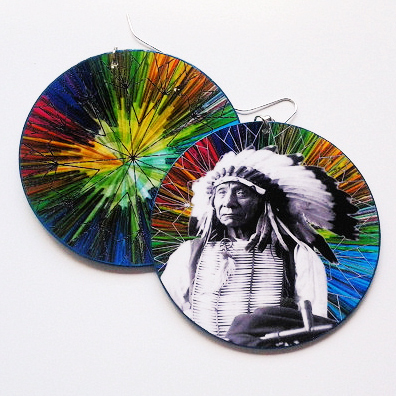 They are available in medium and large teardrops or oval-shaped earrings. Click here to purchase. July 14: Ride Hard or Die Tryin'. These earrings feature warriors on horseback on a pink and yellow background with a subtle white four directions star design. Emblazoned with the slogan "Ride Hard or Die Trying," we are reminded to always work hard and fight for the betterment of our communities. 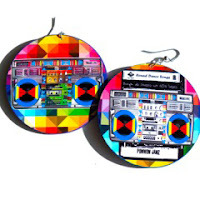 The earrings are available in medium or large round earrings. Click here to purchase. July 21: Traditional Nites. 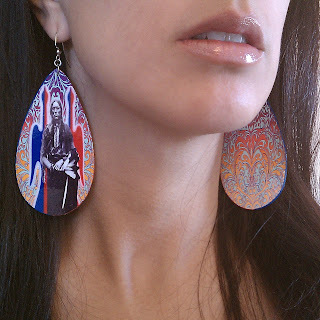 These earrings feature the image of Lakota chief Red Cloud, and they are the perfect accessory for your modern-day traditional nights. Bird explains, "I've always seen this famous image and thought, 'How powerful.' There is a confidence that comes with wearing these earrings - a confidence you see in many women when they are out on the town dressed to impress and/or dancing in the powwow arena. 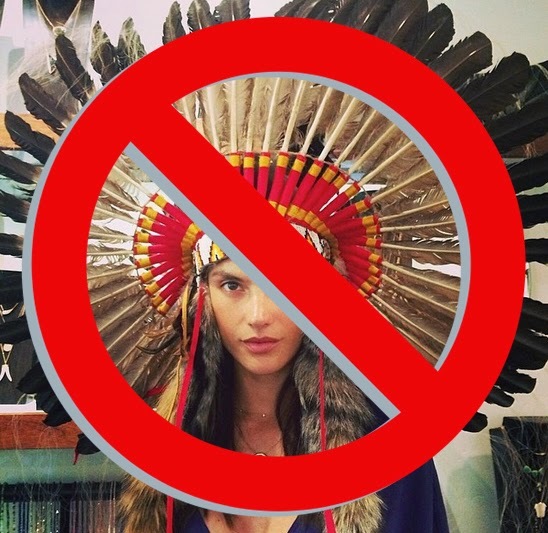 Traditional Nites displays color expression through fashion, whether Traditional or Contemporary. It is a fine line us women love to walk." 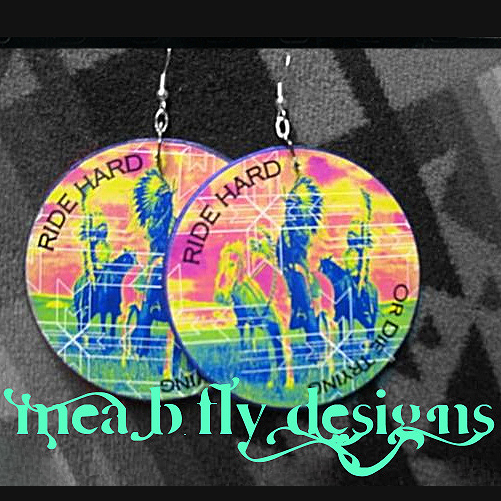 This design is available in small dangles, medium or large round earrings. Click here to purchase. 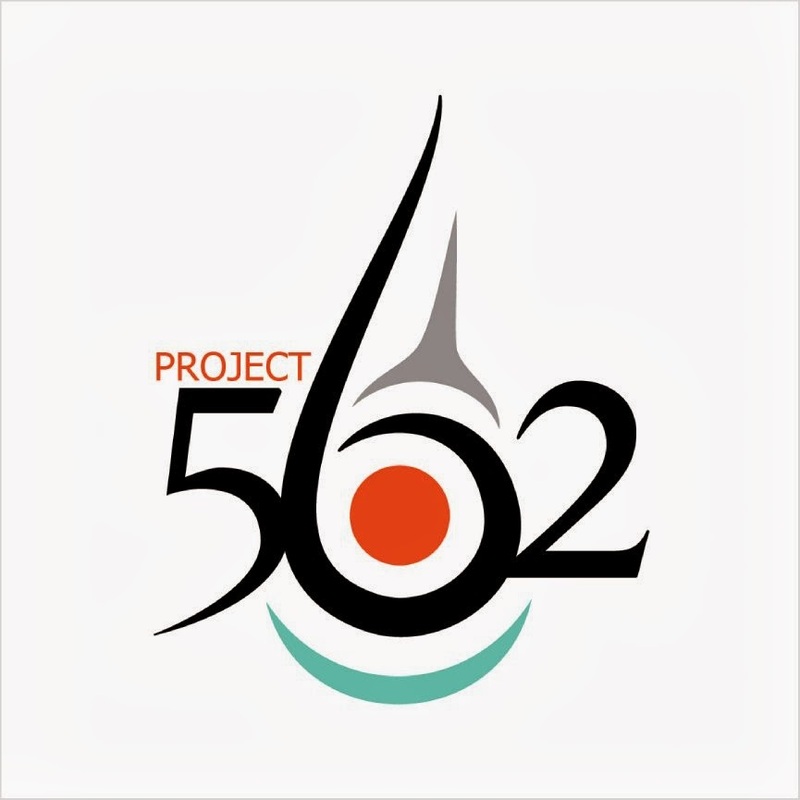 July 28: NDN Beatz. 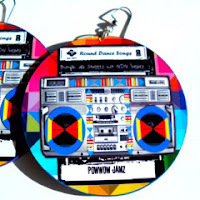 Inspired by social round dance songs, powwow mixtapes and carefree summers, these earrings have a fun contemporary feel and feature a stylized boombox rendered in jewel tones and labeled "Powwow Jamz." They are available in small dangles, medium or large round earrings. Click here to purchase. Click here to shop the full Mea B'Fly collection.